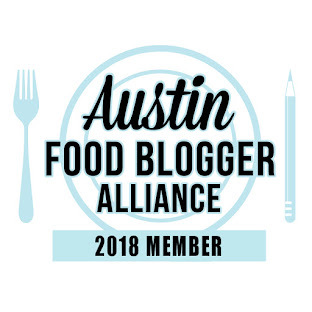 -- Peace Through Pie is "an Austin-based grassroots movement, which encourages all generations and cultures to honor and celebrate the peace-building legacy of Martin Luther King, Jr. via old and new culinary traditions and shared pie." The first pie "social" was four years ago, and the movement has spread, and Peace Through Pie became a 501 (c) 3 non-profit organization. The movement has grown to include area schools, churches, and community centers. This year, over 25 organizations and businesses will hold pie social events beginning later this week, where participants will eat pie and engage in meaningful conversations. As founder Luanne Stovall, said “In our increasingly complex world, there is a great need to come together in an intentional way to celebrate diversity as a strength and cultivate trust. 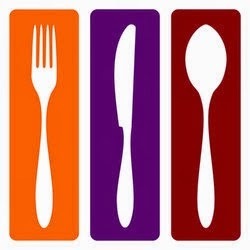 What better way to see the world as the pie and each of us as a piece, than to share our rich culinary traditions at the table?” Check out Peace Through Pie's website for a listing of events throughout the Austin community! -- Central Market is holding Citrusational, their annual citrus festival, January 15-28, at all stores. -- Salty Sow will be offering the menu they will serve at the renowned James Beard House in late February to guests at the restaurant on January 22 and February 5; $55/person or $75 with wine pairings. The 5-course menu includes Berkshire pork, swordfish, baked ricotta, and banana beignets. -- The 8th Annual Jo's Chili Cookoff, benefiting the Sustainable Food Center will be January 26th at Jo's on South Congress. $20 to sample all 14 of the chili entrees from local restaurants and cooks. -- Satay Restaurant will be featured on the Cooking Channel's Restaurant Redemption on January 28th. -- Jack Allen's Kitchen (Oak Hill) is holding the 4th Annual Lone Star Paralysis Bourbon Bash on January 29th; $150/person, and all proceeds to go the Lone Star Paralysis Foundation. -- Sway will be hosting Night of 50,000 Lives, a fundraiser for the American Red Cross and their measles and rubella initiatives, February 13th, $250/person. 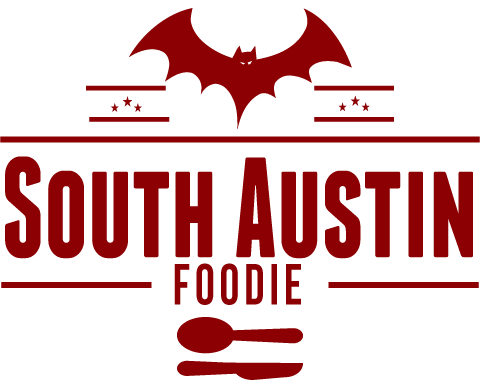 -- The first Bacon and Beer Festival of Austin will be February 22, presented by Edible Austin in conjunction with Edible Boston. -- The downtown outlet of the Memphis-based Gus's Fried Chicken opened last week at 117 San Jacinto. -- Juiceland has opened their 7th location at 620 and Lohman's Crossing. -- The latest from ATX Brands, Vinyl (a music lounge) and Upstairs on Trinity (a wine bar) will hold their opening weekend January 16-18 at 607 Trinity. Tastings, drink specials and DJs! -- A new pizza trailer, The Unconventional Oven, will hold their grand opening at the Breakpoint at the Boardwalk trailer park (2201 Lakeshore Blvd.). -- P. Terry's is changing their oatmeal cookie, after a cookie challenge by a local fan! Ellie Livesay's own recipe was voted by customers to be the preferred cookie, and the local burger chain will now be using hers. -- Andiamo has updated their menu to reflect colder-weather appropriate courses, including beef tenderloin with Gorgonzola, gnocchi with fontina cream sauce, and hot chocolate coup with a dash of hot pepper. -- The Flying Carpet trailer is selling "Moroccan kiss" cookies in Moroccan-inspired flavors for Valentine's Day. To preorder, click here. -- Goodall's will serve a 4-course prix fixe menu for $109/person over V-day weekend. -- Finn + Porter will serve a 4-course prix fixe menu for $75/person on Feb. 14th, which includes options as braised lamb, butternut squash soup, Gulf red snapper, and a dessert trio. -- Satay will serve a 3-course meal for $35, $49 with wines. Tried Gus's Chicken and well, Meh, Lucy's may have spoiled me, but I couldn't tell any difference between theirs and KFC. Maybe theirs was slightly saltier. More expensive, and if I couldn't get to Lucy's I would look for a Popeye's. Hopefully they will get it together, but since this is standardized corporate I doubt it. The sides could have come from HEB, with the exception of the fried green tomatoes, which were excellent. The service was fine- nice people, prompt without being overbearing. I think what really put me off was the amount of non-recyclable crap they used. Styrofoam, plastic utensils... No excuse for that, and the primary reason I probably won't go back. And the parking is horrendous. Great feedback, and I trust your food opinion, Elaine. I've seen several pictures from foodie friends at Gus's, and my immediate first thought was "styrofoam plates?". You're the first that I hear from that's saying it ain't all that. Agree that the parking will be horrible (is it in the old Mongolian BBQ spot?) but I am sure it will do well with Convention Center people. I was at Lucy's about a week before T-day, and it was quite good (only my 2nd time there) and their parking is slightly better! Thanks for the note.